The mission of Boys & Girls Clubs of Collin County is to enable all young people, especially those who need us most, to reach their full potential as productive, caring, responsible citizens. 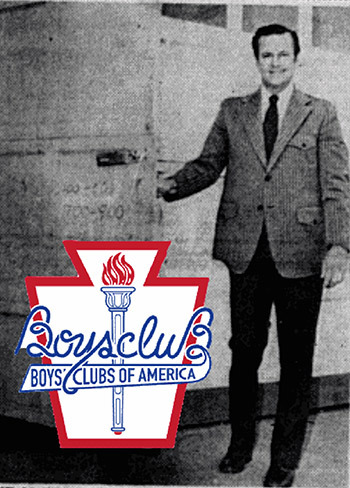 Boys & Girls Clubs of Collin County began its journey as the McKinney Boys Club in October of 1968 when Mr. Henry L. Shoap organized the Clubs. On April 1, 1969 the doors finally opened in McKinney. By April 21st, it was incorporated into the Boys Clubs of McKinney, Texas, Inc. Its first United Way funding arrived in 1970. Ten years later, girls were admitted to the organization but it took another 7 years for the Club to change its name to Boys & Girls Clubs of McKinney, Inc. It didn’t take long to catch on that the Club was “the place to be”. Kids from outside of McKinney began attending the McKinney Club. In 1988, the Club had expanded its wings and officially changed its name once more to Boys & Girls Clubs of Collin County after realizing a greater community need. 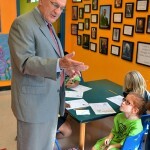 Many children in Collin County needed support and Boys & Girls Clubs was there to help. In 1990, extension programs were added in schools to provide on-site care for children in Plano and McKinney Independent School Districts. There were a total of 17 after-school programs providing after-school care to over 1,100 children by 1997. The current McKinney branch building stands at 701 S Church Street near downtown McKinney and is centered in Finch Park. Since its opening, the building has been expanded by the addition of a gymnasium. The current Administrative Office building was once a boxing gym and was donated on April 28th, 1997 by the David Craig family of McKinney and used as the Physical Education Building. Bob and Joy Darling of Darling Homes graciously renovated the building in 2006 to become the current and much needed Administrative Building. The Plano Branch began serving the Douglas Community near downtown Plano in 1993. It originated in the old Plano Housing Authority building before contracting with the Plano Parks and Recreation Department to open a new center. The spacious Douglas Community Center building opened doors to Boys & Girls Clubs of Collin County allowing the clubs the opportunity to service 200+ kids daily. During the summer, children will enjoy a nutritionally balanced meal at lunch. In 1997, the Frisco branch opened and operated out of the Frisco Independent School District Administrative Offices. Less than a year later, it moved to Acker Elementary School until opening doors to a location at 6890 Main Street in downtown Frisco. Not long after, the Bob & Joy Darling Branch was opened at 6726 Main Street, also in downtown Frisco. For several years this location served approximately 300 to 500 children per day. Children crowded around the floor to soak up the motivation and teaching that came from staff members. They moved pool tables and foosball tables everyday to set up tables and simply enjoy a hot meal. It is thrilling that with support from Bob & Joy Darling, The City of Frisco, Star Children’s Charities and many others who contributed to our capital campaign that the Frisco club has moved again and now serves nearly twice as many children. The doors were opened on December 1st, 2008 with grand opening celebrations on December 19th. Over time, BGCCC has helped numerous children turn their lives around. Currently, the clubs serve more than 10,120 children and teenagers, giving them a safe place to learn and grow into productive and caring citizens. The clubs are the best and sometimes the only option for Collin County children seeking a place to go during the vulnerable hours between school and home. The kids are offered an affordable yet safe and nurturing environment and are supported with a variety of programs and activities that assist in their educational, emotional, physical and social development. Children between the ages of 5 and 18 are mentored without regard to social, racial, ethnic or religious background. Learning is disguised as fun and the young people of Collin County are given a valuable opportunity to become independent, productive and influential individuals in the community. Needs don’t stop with the building of clubs or the expansion of programs. The clubs are constantly looking for innovative ways to develop our young people. One of the things to look forward to is making use of the donated land next door to the McKinney branch. In 2008, the Don Day family of McKinney donated several acres of land to the clubs that will be used to enhance the lives of Club kids at that location. Club members will be able to enjoy the great outdoors and pass the time learning new skills, socializing and staying fit. It is hoped that the park will encourage more kids to enjoy the safe environment of Boys & Girls Clubs of Collin County! The Clubs continue to grow and serve more of the precious people that are our future. Thanks to the support of our generous donors and supporters, BGCCC is able to reach more and more children every year! Starting as the McKinney Boys Club in October of 1968, this club has been a landmark in the Collin County community and has influenced the lives of countless children.